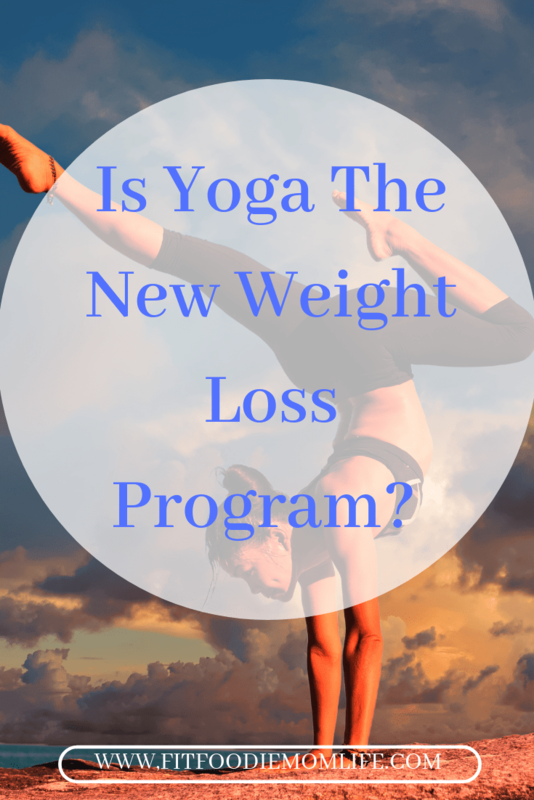 Is Yoga the New Weight Loss Program? If you’re the working out type, then this post is for you. If you’re a mom, then I know getting a workout in is already difficult. So now imagine incorporating a yoga routine on top of that. But, I’m sure once you read the few benefits listed below, you’ll want to carve time out for yoga weekly. Being a mama, I’m sure you watch what you eat, you’re concerned about your weight and still trying to lose baby weight. You’re doing everything under the sun to make healthy choices. You started a consistent strength training regime. You got professional advice (took a step out of your comfort zone). Maybe you even hopped on the band wagon with meal prepping and macros (go mama). But you aren’t achieving the goals you’d like to fast enough. Did you know that yoga can actually change things up for you and help you get past the plateau? If you’re anything like me, you might think yoga is a “waste of time” and won’t help you lose the baby weight. BUT implementing yoga into your exercise routine can greatly benefit and help you to reach your fitness goals. It can be the perfect complement to a weight training regimen. Unlike circuits, which focus on and isolate specific parts of the body, yoga offers a full body workout. Even the most rep obsessed personal trainer will admit the effectiveness of body weight exercises in order to cut fat, strengthen muscles and tone your body. AND yoga is a very effective body weight workout. The majority of yoga poses engage your core muscles while trying to balance. And when you start to layer in arm balances and different inversions, you gain a calorie burn, muscle strengthening and the ability to lean out. Doing cardio everyday is a myth to losing weight. So if pounding the treadmill isn’t your thing, yoga can be a great addition to your workout regimen. Some of the more advanced moves are strenuous and require a lot of strength (takes patience, and lots of practice), meaning your heart rate will be elevated and you can break a decent sweat, all without moving off of the manduka mats. Sounds heavenly, doesn’t it? And at the end of every yoga session, it’s important to lie down on your back flat for at least 10 minutes. What?!? Now you got me! Another huge benefit of yoga practice is that you can fit it in any time. I know this sounds humorous to us moms, but hear me out. I know it’s difficult getting a workout in daily. Sometimes the motivation isn’t there, the opportunity, or simply the want to feeling in your gut. Get into a yoga routine. You can also get your kids involved and soon enough, everyone will fall in love with deep stretching and balance. There are also lots of challenging yoga workouts online if you feel like you need some new moves, and get a sweat going. The mental benefits of yoga also make it worth a look. Every athlete knows that if your head isn’t in the game, you’ve already lost. And yoga can be hugely beneficial for mental clarity (hello stressful mom!) and focus to boost your other workouts. Doing yoga successfully is all about leaving distractions behind and tuning your mind and body to work together. If you tune into your body, it’s a way to leave behind stress, plus it can lower your risk of injuries with other workouts–and keep your mom sanity in check. Better training, better gains, anywhere, anytime?! Now that has to be worth a try. I challenge you to give yoga a shot. It takes the aches and pains away from carrying those heavy babies around and staying on top of the housework.